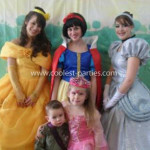 To celebrate Sofia’s 7th birthday we decided to throw a Princess Party. We bought invitations for a Princess party and gave them a week before the party. A special treat for Sofia was to choose a costume she wanted to wear. 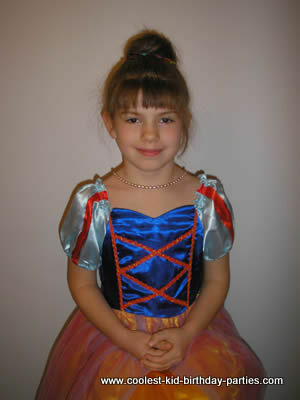 She chose Snow White. 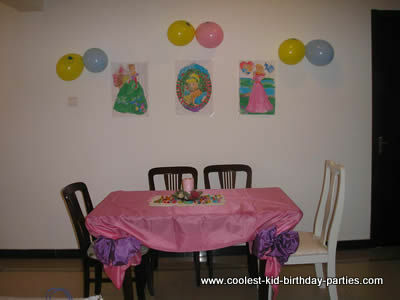 We decorated the living-room and tables in purple and pink and had lots of fun with this. Sofia painted the coloring pages with Princesses and we put them on the walls. 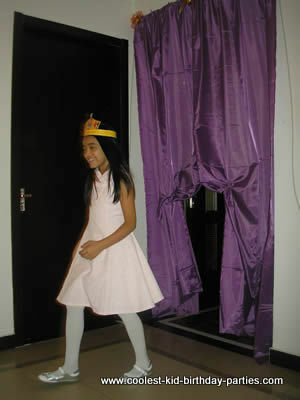 We also made a parade entry for a Princess Parade using purple curtains. We also decorated our swing in pink and purple for princesses to relax in between activities. For a craft we decorated crowns (printed out) with jewels-stickers . 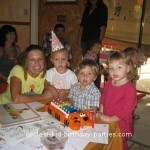 Girls loved it and wore crowns thru all the party. For dinner we had: Pizza, crab salad, fruit salad, Ice-cream Punch, and strawberries on toothpicks put in a big yellow grapefruit. 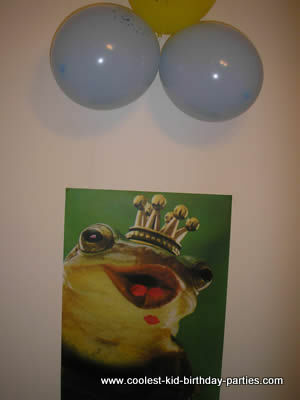 Then there were two games: “Kiss the Frog” and “Hot Frog”, everybody loved that too. In the end we had a small photo session to capture the atmosphere of fun, girls liked it very much. For party favors we prepared cute notebooks with princess images on them. It was a great fun and pleasure to make it a fairytale for my little girl. Children are still talking about it, which give me a great sense of accomplishment :-).